Today am going to explain you the code for Login and Registration using functions in php,mysql . The best methodology in any language is using Object Oriented Principles.Dealing with classes, objects very easy to manipulate information. Below code for how to develop user registration and login form in php. I hope you enjoyed my tutorial..
you will find Description text-box in the window, to enable follow the below picture.The search description must not more than 150 charterers. this box is to show the text if you link were broken,I mean if you link is not available the text what you written in the text-box will be shown. 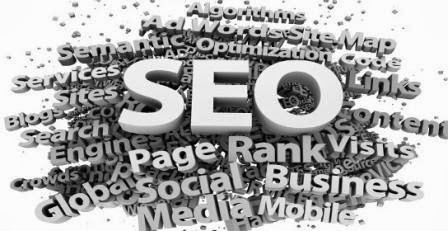 please pay attention while modifying these , in correct use of these may effect you on seo. Tip: Warning! Use with caution. Incorrect use of these features can result in your blog being ignored by search engines. 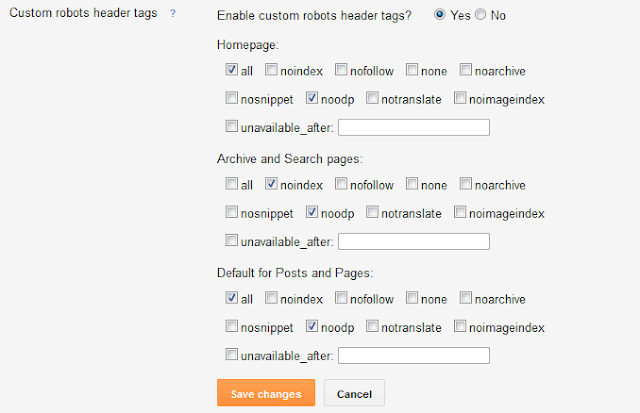 To generate robots.txt file go to http://ctrlq.org/blogger/ and paste the code here. Blogger is the one of the most popular CMS (Content Management System) which used by millions of people.So Goggle provided WEBMASTER TOOLS to which analyze our blog rankings,page views and bounce rate.In internet soo many templates are there to give look to your blog,some templates already SEO optimized some may not,by modifying the blogger template we can change our template to seo friendly. 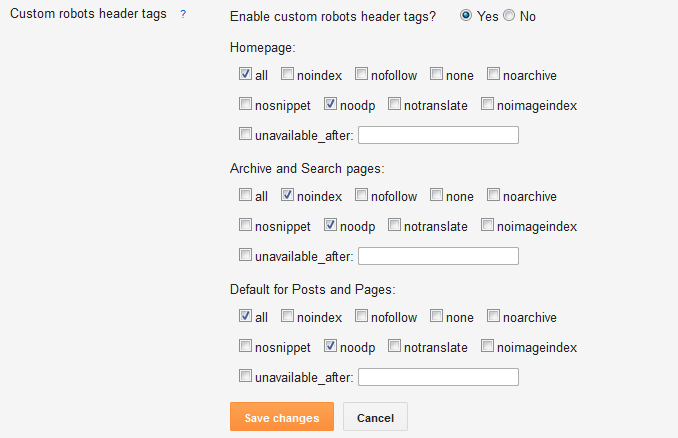 most of the search engines show the tag h2 instead og h1, h3.so we have change the post title tag. now observe your blog seo and enjoy. In a country of Neverland there are two types of programmers, People who program using a language X(X people) and people who program using a language Y(Y people). Both are equally good languages but there is no translator that could translate X language to Y and vice versa.Apologists of X and Y can argue for hours proving each other that their programming language is the best one.Y people will tell that their programs are clearer and less prone to errors, while X people will laugh at their inability to instantiate an array of generics or tell them that their programs are slow and have long source code. Another issue that X and Y people could never agree on is identifier naming. In Y a multiword identifier is constructed in the following manner: the first word is written starting from the small letter, and the following ones are written starting from the capital letter, no separators are used. All other letters are small. Examples of a Y identifier are yIdentifier,longAndMnemonicIdentifier,name,nEERC.Unlike them, X people use only small letters in their identifiers. To separate words they use underscore character "_". Examples of X identifiers are x_identifier, long_and_mnemonic_identifier, name (you see that when there is just one word X and Y people agree), n_e_e_r_c. Your job is to write a translator that is intended to translate programs in X to Y and vice versa. Of course, identifiers in the translated program must be formatted due to its language rules - otherwise people will never like your translator. it would detect whether it is Y identifier or X identifier and translate it to another dialect. If it is neither, then your routine should report an error. Translation must preserve the order of words and must only change the case of letters and/or add/remove underscores. N lines, that contains an identifier. It consists of letters of the English alphabet and underscores. Its length does not exceed 100. If the input identifier is Y identifier, output its X version. If it is X identifier, output its Y version. If it is none, output "Error!" instead. Pythagoras is teaching mathematics to a class of N students. He wants to test if his students understood his new theorem. He gives his students the length of the sides of a triangle and they have to tell him if it is a right triangle. Next N lines each containing 3 integers a, b and c which are the length of the sides of the triangle. 0<a,b,c. If the given triangle is right angled print "RIGHT TRIANGLE" in a single line. If the given triangle is not right angled print "NOT RIGHT TRIANGLE" in a single line. Rahul has M friends and they love to play games with marbles. His little sister also wants to join his gang of marble game lovers. To make it simple for his little sister Rahul creates a simple rule for the marble game of the day. Each participant will be given a set of marbles. The participant is considered to win the game if they are able to pair up all the marbles they have; else they are said to lose. Rahul being a coding freak writes a computer program to find out if his little sister would win the game or not. Help Rahul write the program. It is followed by M lines, each containing the number of marbles each friend has. For each of the M friends, first print the chronological index of the friend followed by a space, then state whether the participant won or lost. Alice and Bob are being held at Azkaban(Prison). They want to escape and join Dumbledore's Army. Alice wants to tell Bob about the details of the plan but wants to keep their escape plan from Dementors(the guards). So Alice encrypts the message before passing the chits to Bob's cell. However Bob was careless and he disposed the chits in his cell's waste paper bin. The clever Dementor found the chits but couldn't make out what they said. So he hired a computer programmer to decode the message for him. Please help the Dementor to decypher the message. The code key that Alice used for this simple coding is a one for one character substitution based upon a single arithmetic manipulation of the printable portion of the ASCII character set. The Encrypted message in a single line. The maximum number of charaters in a message is 100. AND ESCAPE WHEN THEY BRING FOOD. In this tutorial I'm going to illustrate how we can share data between two Android applications using Shared Preference. To implement this I used two Android applications. One is "Datawriter" and the other one is "Datareader". "Datawriter" is to update shared data. Its' package name is com.writer.data class name is DataWriterActivity . Here is the code for DataWriterActivity class. dataWriter method will write the string Hello! this is shared data to a shared memory. Next application is to read shared data. 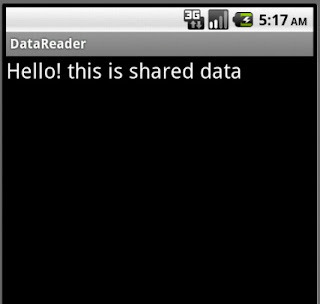 The application name is Datareader and its' package name is com.datareader class name is DataReaderActivity. Here is the code for DataReaderActivity class. "com.writer.data" in the highlighted line is the package name of the first application which we used to share data. Once I needed to display an image loading from URL in my Android application. After referring some resources I was success. Here I post what I did. This is for future references. I did this for Android 2.2 platform. 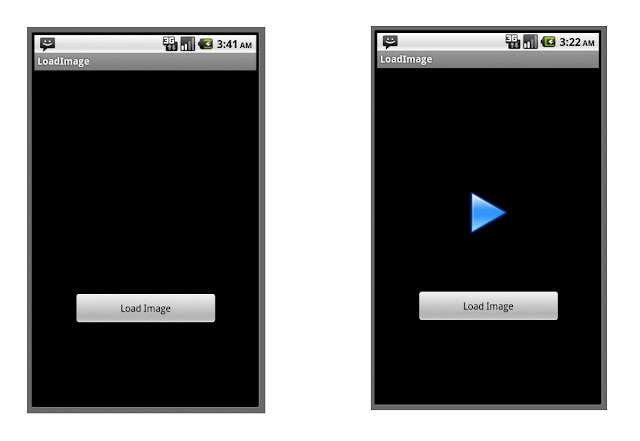 This Android application load an image from a server using HttpURLConnection and show it in image view when you click load image button. Here is the layout file. final static String imageLocation="http://www.codeincloud.tk/play.png"; //Use any image location.